The Dota 2 International prize pool looks set to be the biggest yet, assuming the current pace of funding keeps up in the lead-up to the tournament. Looking at getting into Valve’s MOBA? Here are the best Dota 2 heroes for beginners. Following recent tradition, Valve are crowdfunding a portion of the International’s prize pool, with theCompendium and Battle Passreturning for another year. This allows players and eSports fans to throw money at the annual tournament while also getting shots at prizes in-game and out. As of now, 40 hours into the funding process, the contributed prize pool sits at just over $5 million – a $700,000 increase on last year’s prize pool at the same time. See by the hour comparisons on the official stats page. 2015’s International saw a total of$16,829,613 contributed, which doubled that of 2014’s contributed prize pool. It wouldn’t be too surprising, then, to see another rise once the funding phase for this year’s tournament is over. If you like watching numbers tick up, there’s a livetracker you can keep an eye on. Alternatively, if you’re after some existential dread, here’s a livetracker for Earth’s ever-increasing population. We best get a new planet sharpish, eh? 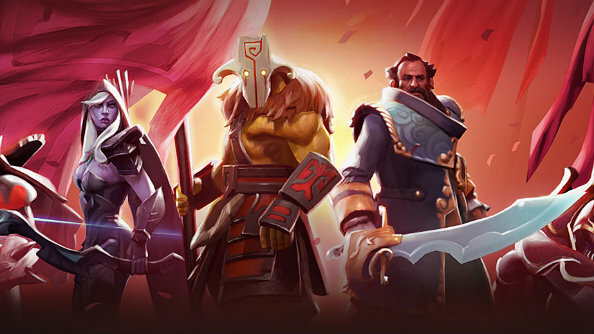 The Dota 2 International kicks off on August 8, which is also when the crowdfunding ends.